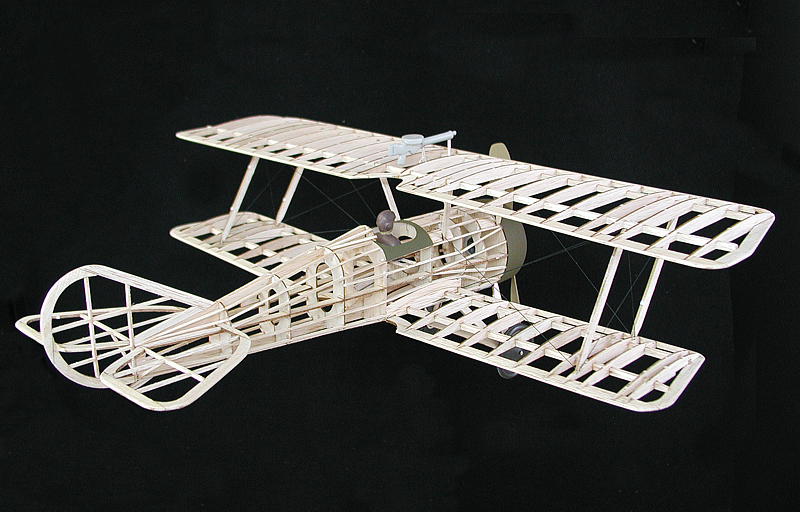 Now with LASER CUT BALSA PARTS !!! 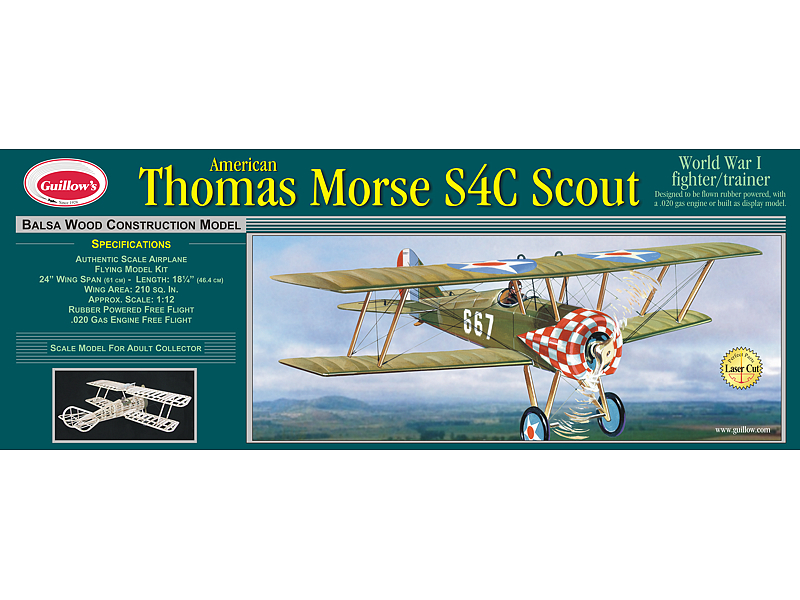 Outstanding among American aircraft produced during World War 1, the Thomas Morse Scout filled the gap between the Curtiss primary trainers and the French scout planes that American pilots were to fly in France. 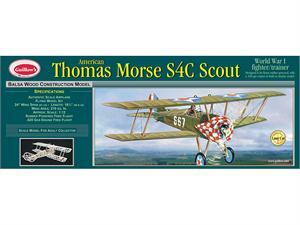 More than 550 planes were delivered to the signal Corps during 1917 and 1918.